This arrangement and variations is one of the more popular plans for long body vans. The gaucho/bed up front. 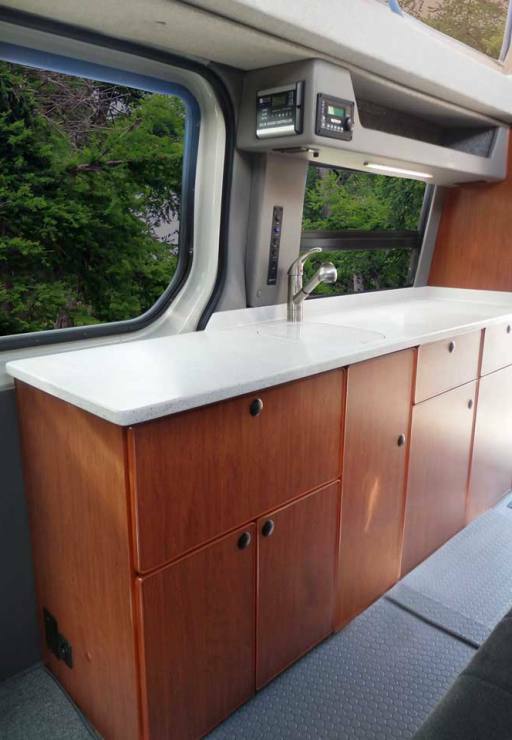 The fridge/microwave cabinet and bath are in the rear. Sportsmobiles always have a nice entry. The awning is out and the retractable step is down. A big long galley with considerable counter space. Lots of people now delete the standard equipment propane cooktop. In favor of a microwave or 110V induction cooktop. Some use a portable stove. This is our most popular fridge 4E (3.6CF). When the Penthouse top is included the internal A/C is available in place of the roof mount. Note the 4 adjustable cold air vents. Sleep 4. Two in the loft and two downstairs. 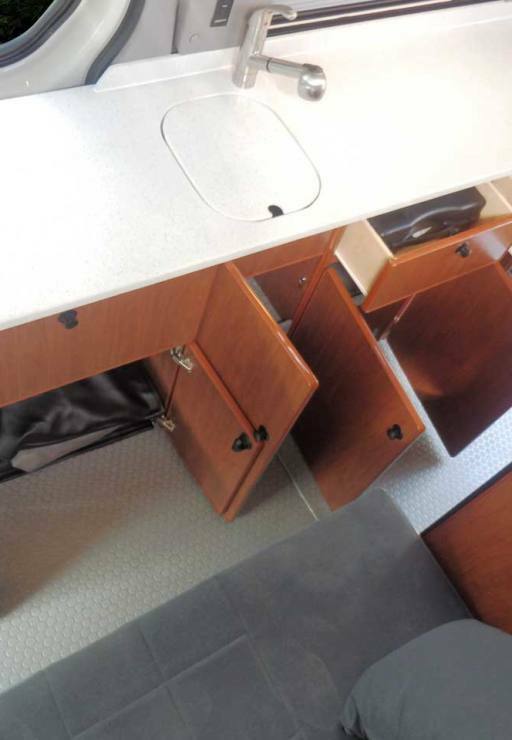 Note the leg space between the gaucho bed and galley. The bath height has been shortened for the Penthouse Top. A cassette toilet is included. The cassette toilet holding tank easily slides out for emptying. An exterior shower is also built in. This special cabinet fits under the Penthouse rear mattress. It’s also a handy place for the table. 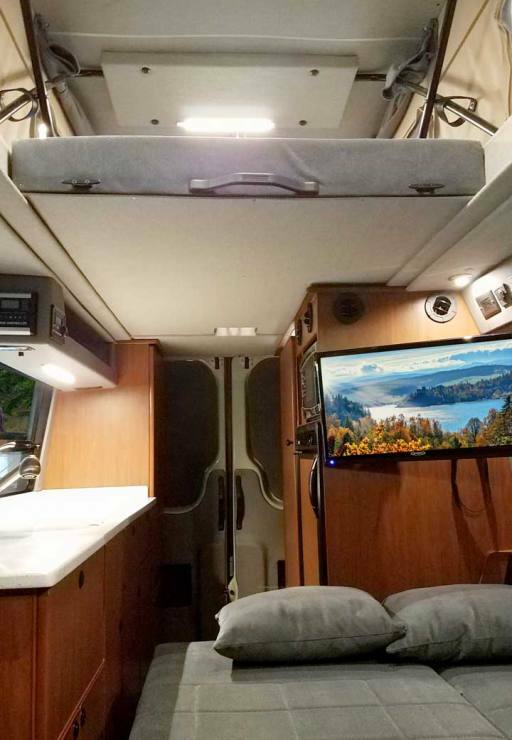 Notice that all of the storage is accessible from inside or outside the van. For more storage an under floor compartment is available. About 6CF. This cabinet is a convenient place to stow the van’s exterior hookups. Fresh water hose, 110V, cord, and grey water hose. Each in a separate pouch. A comment we often hear when a owner is taking delivery is “I have more storage than I expected”.